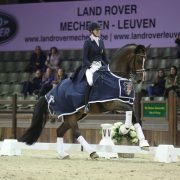 Adelinde Cornelissen won the Grand Prix Special in Lier. Earlier this week she also finished ahead of Jorinde Verwimp, with Aqiedo. Now she also pushed Laurence Roos aside. The Belgian finished in an excellent second place with Fil Rouge. The most remarkable result of the day for Belgium was in the Juniors. The entire podium was occupied by our fellow countrywomen with a victory for Laura Luyten (Dark Chocolate), a second place for Emily Anthonissen (Fair Diamond DHB) and a third place for Suraya Hendrikx (Dear Friend 2). 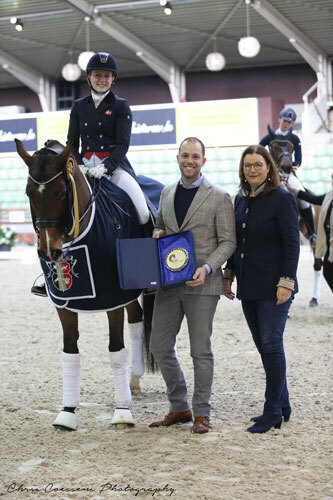 Earlier in the week she was just beaten by Adelinde Cornelissen, but on Saturday evening, in the Grand Prix Freestyle, the Belgian rider climbed right to the top. 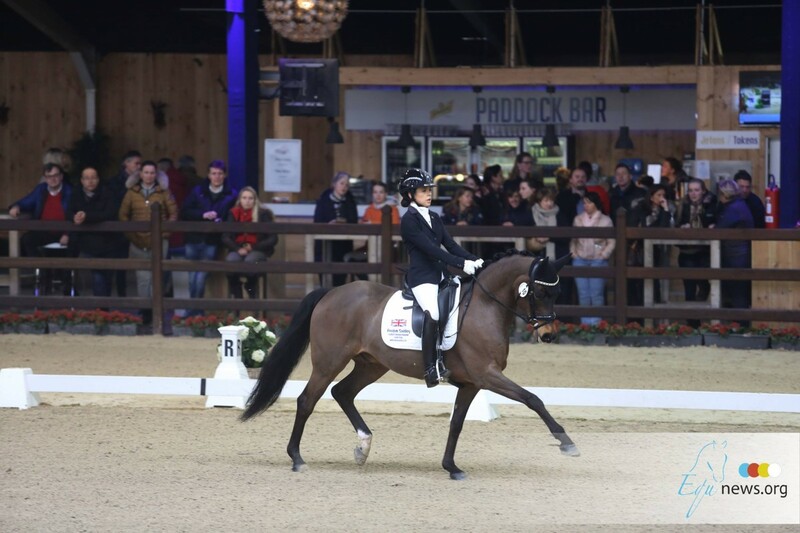 Riding Tiamo she scored a very convincing 78.2% thereby, in the Azelhof, improving her own personal record. 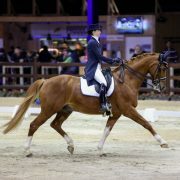 Adelinde Cornelissen did not compete in this class so the German Andrea Timpe was second with almost six percentage points less. 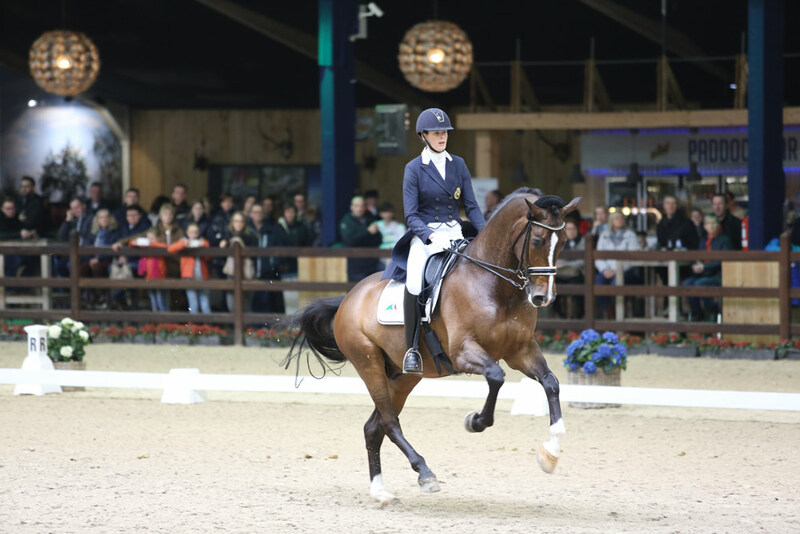 In the Intermediaire Isabel Cool (Constand) was second and Katrien Verreet (Bailamos Biolley) was fourth. The last day of CDI Lier was taken up with the Kür to music for ponies. We watched 16 combinations at work. Once again there was a battle for gold between Gemma Owen and Sophia Ritzinger. Our compatriots also did well. The victory was eventually for the British rider Gemma Owen. 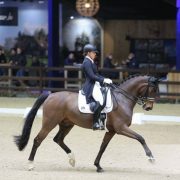 Together with the ten-year-old Der Kleine Lord (by Der Feine Lord) the rider scored a total of 75.167%. This made it her second victory this weekend. The German Sophia Ritzinger, who won the Individual test yesterday, finished now in second place with the chestnut Den Ostriks Dailan (by Leuns Veld’s Lord). They scored 73.917%. 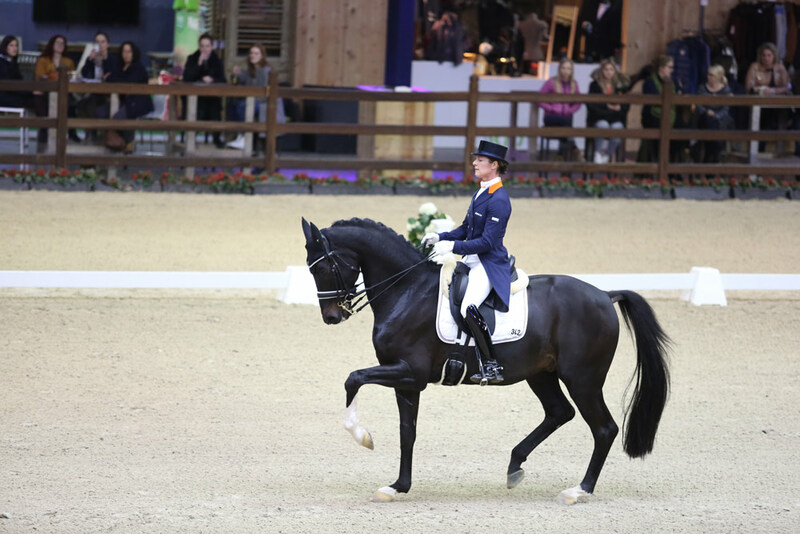 The Dutch rider Micky Schelstraete was third with the grey stallion Elin’s Noncisdador (by Nostradamus) This combination scored 73.208% in total. 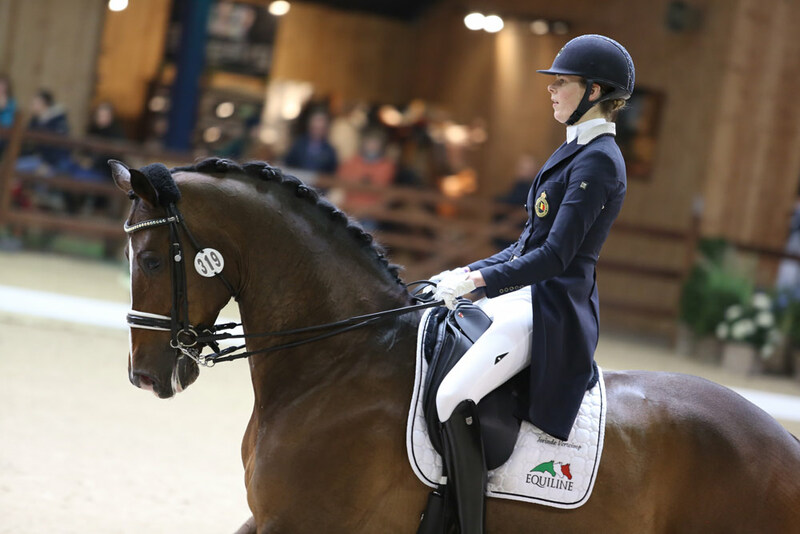 Also in the top five were Maud Adriaensen with N-Constantino vd Bolkerhoeve and Thessa Gilbers with Baumann’s Despino (by Fs Don’t Worry). They received 71.292% and 71.083% respectively from the judges. 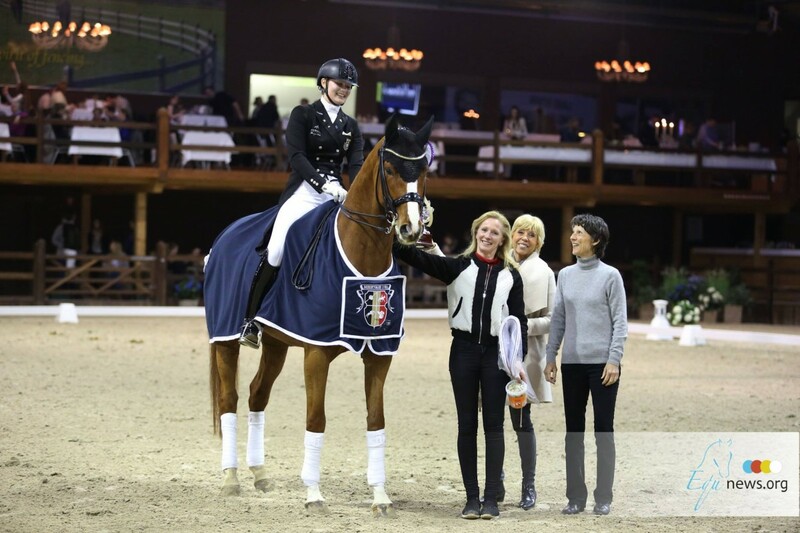 The highlight of the weekend at the CDI Lier in the Azelhof is of course the CDI3* Grand Prix Freestyle. 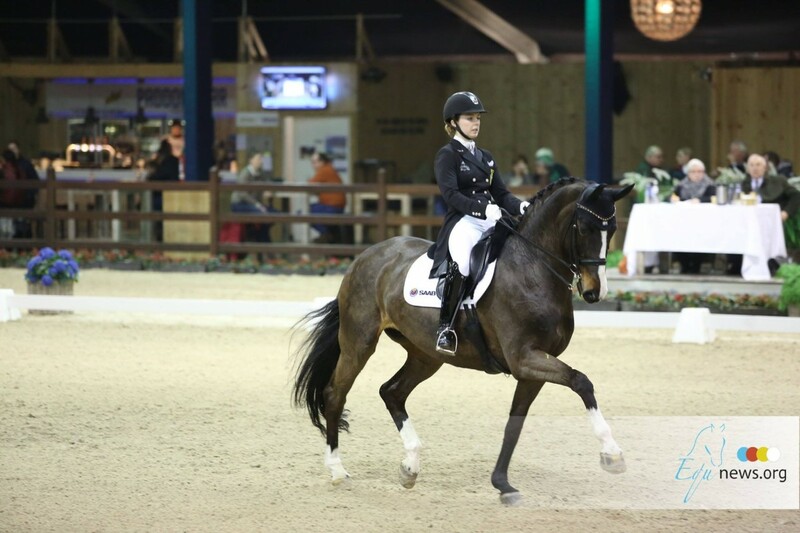 Just before the start of this class, the Grand Prix Freestyle for the U25 took place. No Belgian riders took part in this class. Once again it was a Swedish victory, just as in the Inter I Freestyle. That time it was the stablemate of this winner in the Small Tour. 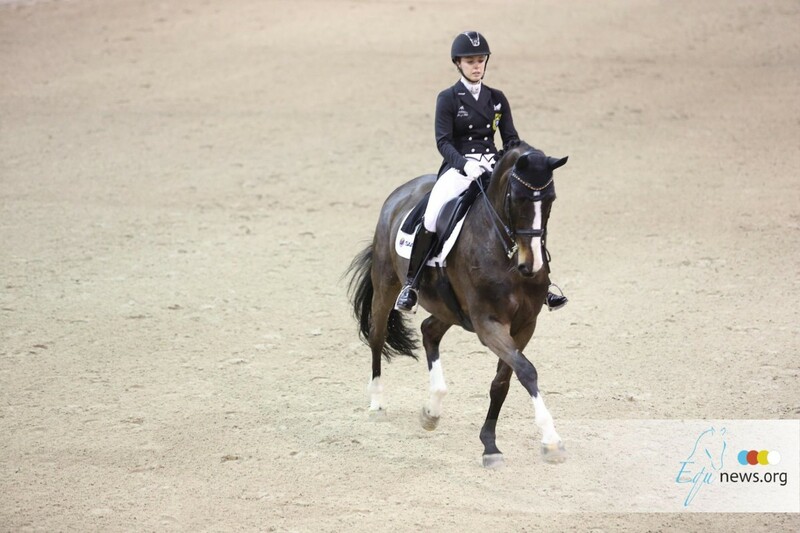 Mathilde Hannell rode to a total score of 73.875% with the Niro-daughter Deela Mae. They scored one percentage point more than the number two. Florine Kienbaum finished in second place with the black gelding Doktor Shiwago 3 (by Don Frederico). They had a total score of 72.083%. 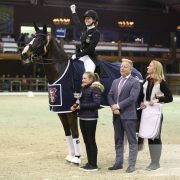 The Swedish rider Emma Jonsson was third with the KWPN Tango (by Obelisk). This combination received a total 71.875% from the judges. 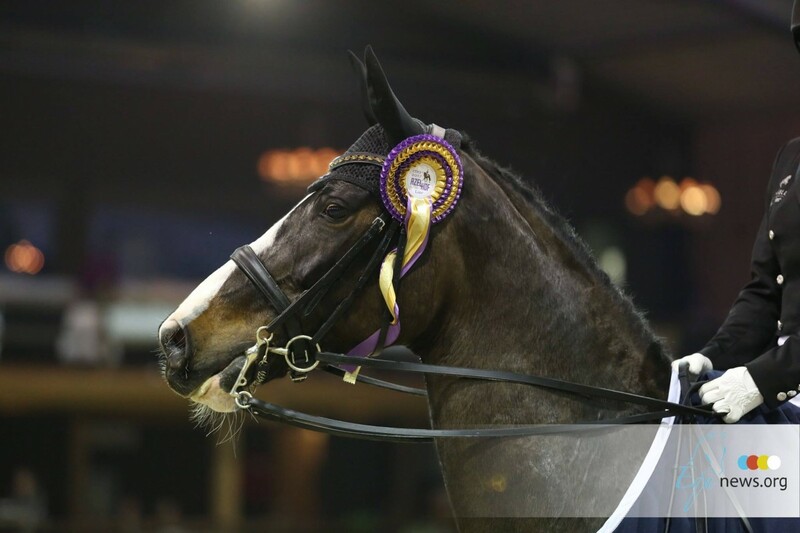 Also in the top five were Petra Middelberg with Barclay 20 (by Bellissimo M) and Jill Huybregts with Zamacho Z (by Rousseau). They scored 71.417% and 70.333% respectively. After all the junior tests at Azelhof today, this evening it is time for the CDI3* and CDIU25 Kür to music. The Intermediaire I Freestyle started in the late-afternoon. 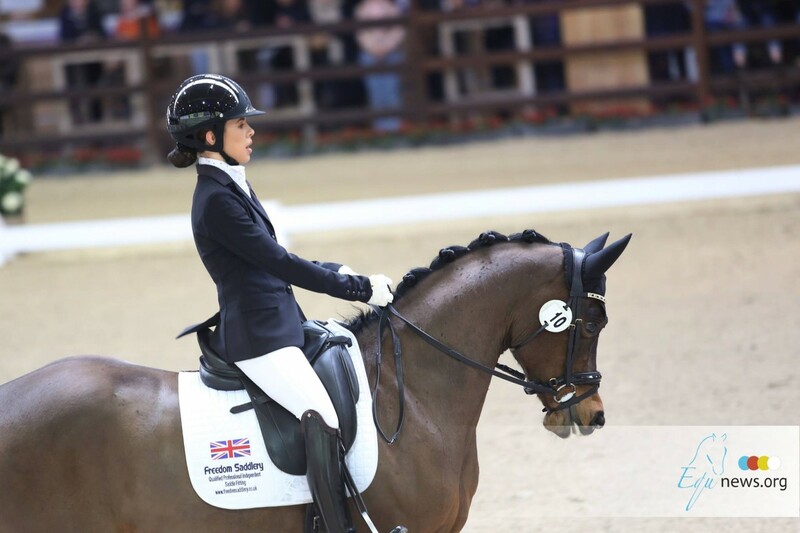 The best fifteen combinations from the Prix St. Georges started in this ‘Lydia Dehertoghe Prize’. Once again it was a Swedish victory in this CDI3* Small Tour. Marina Mattson rode to victory, just as in the Prix St. Georges, with Quartermain (by Qarterback), who is just eight years old. 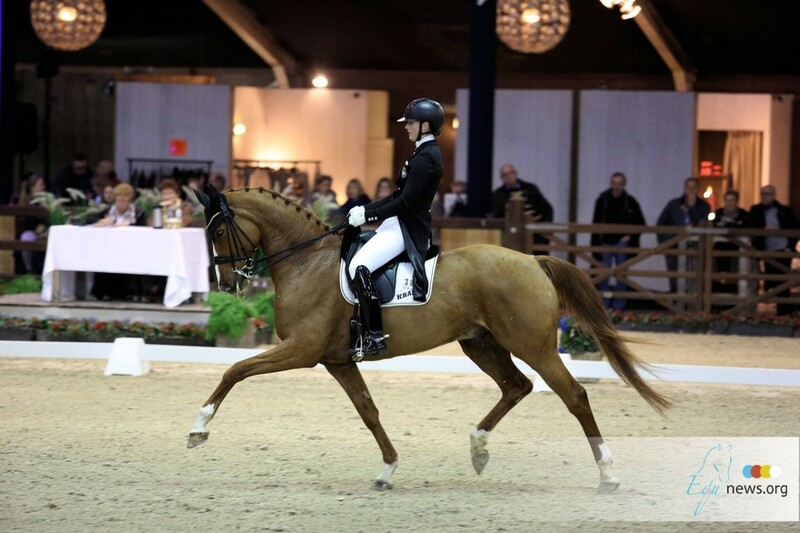 The Swede and the chestnut gelding rode an impressive kür to music scoring a total 74.025%. 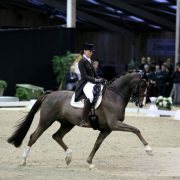 Our compatriot Isabel Cool also rode a very nice kür to music on the KWPN gelding Coolhorses Constand (by Vic). They scored 73.450% in total. 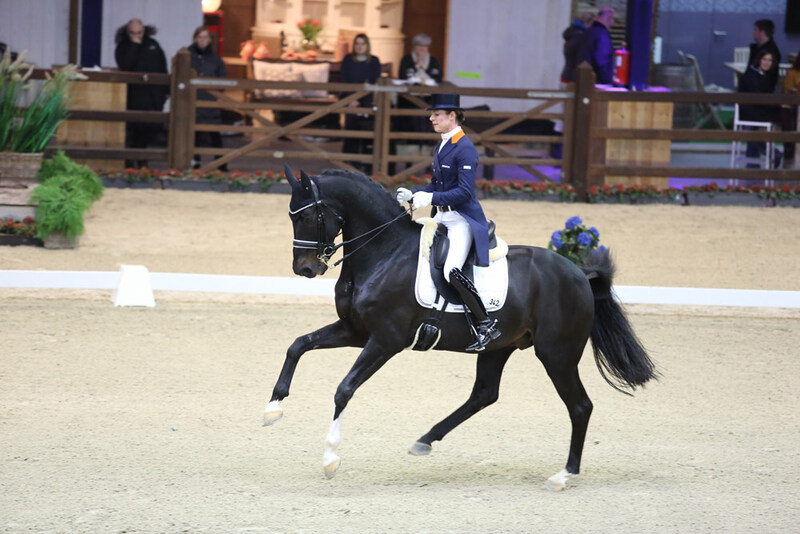 The Dutch rider Ilse van Cranenbroek completed the top three with the black gelding Emerald S. They had a total score of 72.675%. 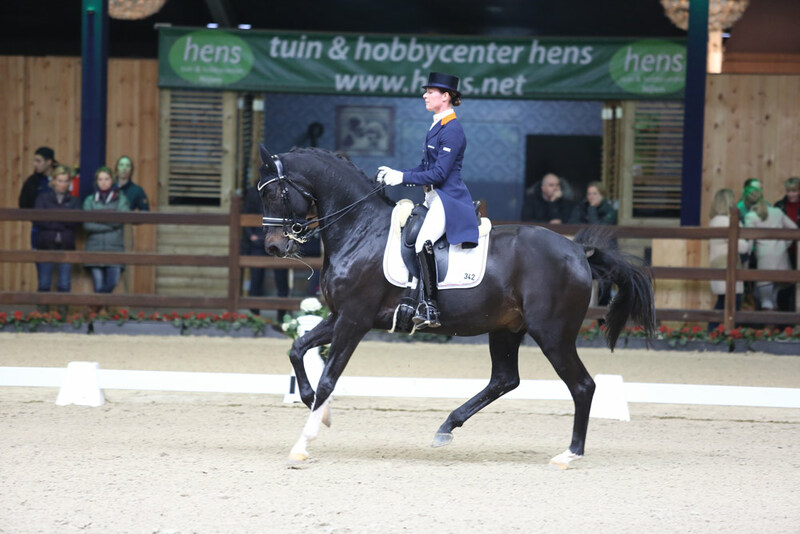 Katrien Vereet with Bailams Biolley (by Sir Donnerhall) and Andrea Timpe with For The Memory (by Florencio I) were also in the top five. They scored 72.200% and 71.800% respectively. 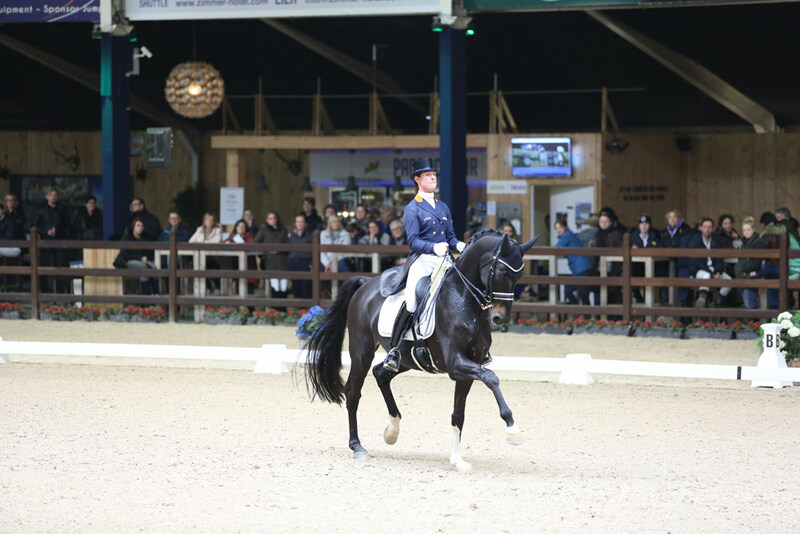 The penultimate day of CDI Lier at Azelhof was taken up with the CDI3* Small Tour. 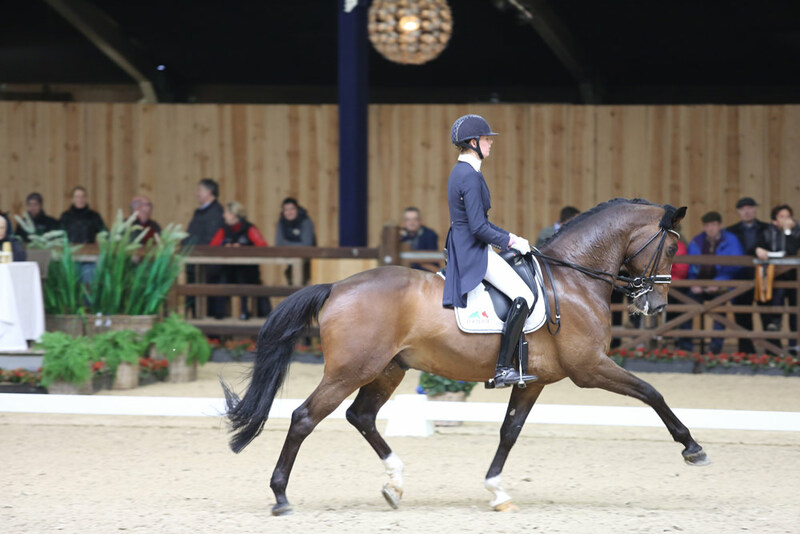 The ‘Lydia Dehertoghe Prize’ was the Intermediaire I. Fourteen combinations, who had also competed in the Prix St. Georges earlier, were once again at work. Other combinations will ride the Intermediaire I Freestyle. The Azelhof in Lier suits the German riders well as today too saw a German victory. It was Jennifer Reimer who with the 10-year-old stallion Daiquiri Royal (by Dancier) rode to victory. The judges awarded their test with a total score of 69.658%. The Spanish Chloe Morris followed in second place with the Lord Loxley-son, Lord Wallonia. They had a total score of 68.053%. The top three was completed by the British rider Daniel Watson who with Butterfly IV (by Breitling W) had a total score of 67.895%. The top five were completed by two Belgian combinations. Laureen Poncelet was fourth with Andretti 13 and Cindy Schuurmans finished in fifth place with Sandro Tategoi (by Sandro Hit). The scored 67.105% and 66.02% respectively. 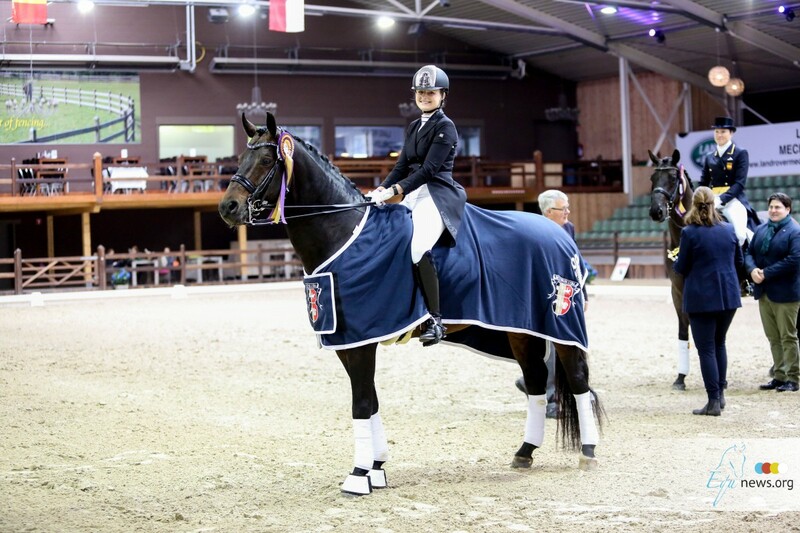 The CDI3* Grand Prix in Lier was won by no-one less than Adelinde Cornelissen (Aqiedo). Her score was just marginally higher than that of the Belgian Olympian Jorinde Verwimp with her top horse Tiamo. Both riders scored over 73%. 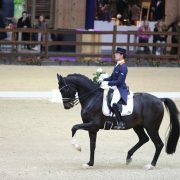 Marieke Van Der Putten, for the Netherlands, came third on Ambria. Laurence Roos (Fil Rouge) and Katrien Verreet (Galliano Biolley) were placed seventh and eighth for Belgium. 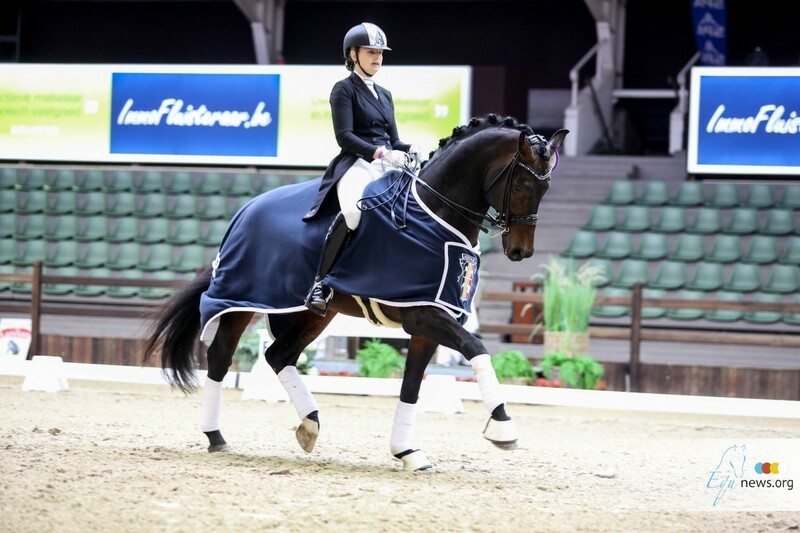 So too yesterday, Jorinde Verwimp came second in the Prix St. Georges, this time with the horse Arie Sollenburg. Isabel Cool (Constand) came fourth. 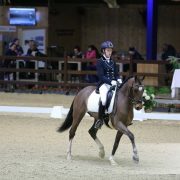 In the junior tests we also saw many scores close to each other for Suraya Hendrikx, Emily Anthonissen and Laura Luyten. 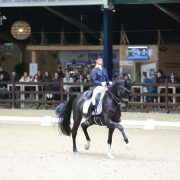 The first day of CDI Lier closed with the CDI3* Small Tour. There were no fewer than 29 starters in the Prix St Georges and it got rather late. This ‘Fam. Siegward and S. Tesch Prize’ finally finished around 22h30. It was the Swedish Marina Mattsson who kept the victory of this last class too out of Belgian hands. Riding the chestnut Quartermain (by Quarterback) she was very quickly leading the class with a total score of 72.053%. She held on to this position until the end. Jorinde Verwimp, who performed well in Ghent last weekend, competed Arie Sollenburg for the fist time in the Small Tour at international level. We can immediately say that it was a good debut. 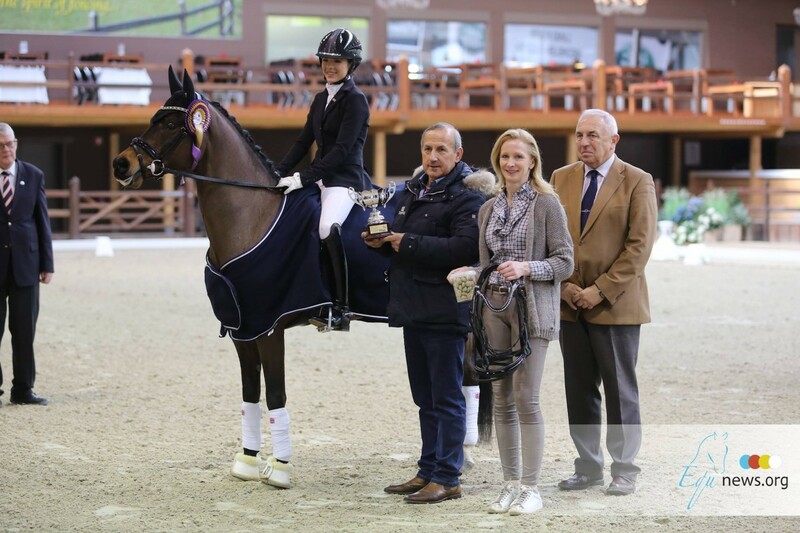 She received a total score of 70.237% from the judge for her test on the black Olivi offspring, resulting in a second place for the combination. The German Andrea Timpe completed the top three with For The Memory (by Florencio I). This combination was awarded a total score of 70.211%. 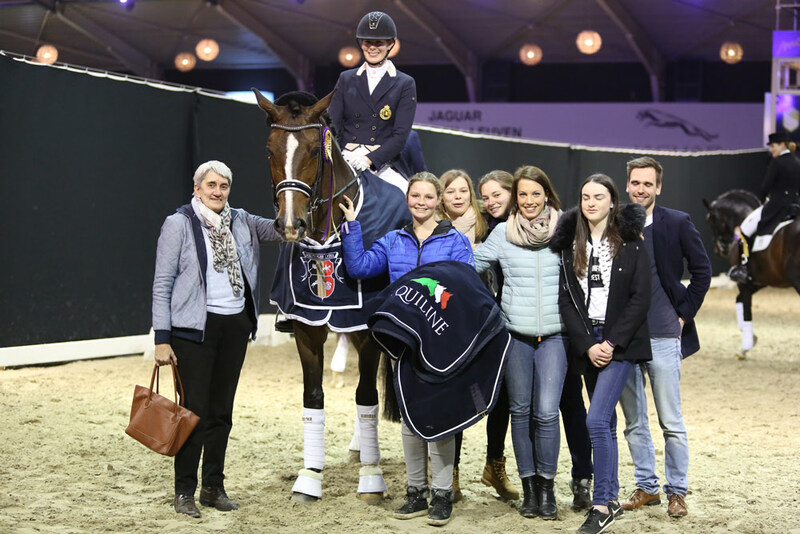 Isabel Cool finished in fourth place with the ten-year-old Coolhorses Constand (by Vic), just ahead of the Dutch combination Ilse Van Cranenbroek with Emerald S. They were awarded scores of 70.000% and 69.947% respectively. 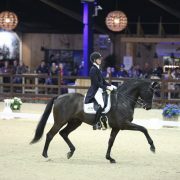 The second class in the international dressage competition at Azelhof in Lier has now been ridden. That was the Young Riders team test. Seventeen combinations competed in this ‘Prijs Lannoo’. 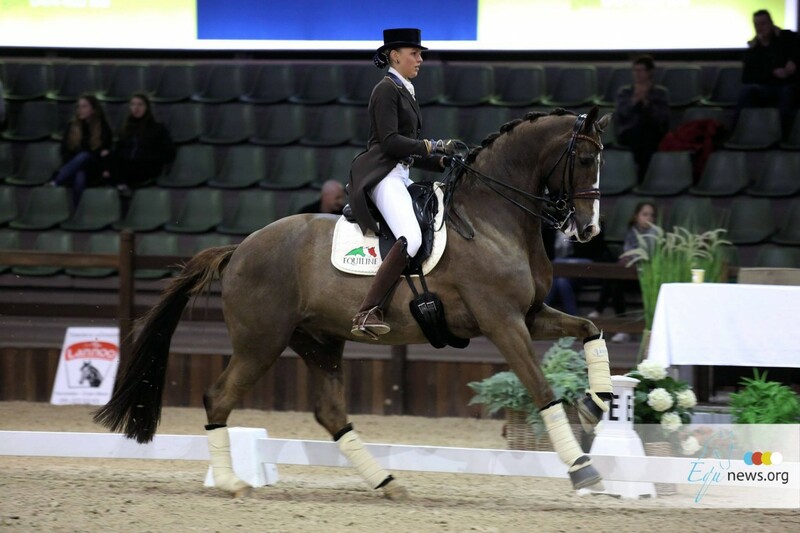 Also in the top five was Rebecca Jane Edwards with Ufano (by Ideciso) and Ann Kristin Arnold with Rio De Janeiro 21 (by Riccione). They scored 69.123% and 68.860% respectively. The best Belgian score came from Delphine Beck. 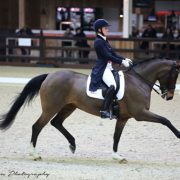 With Zelion B (by Farrington) she rode to a total score of 66.360% thereby finishing in 10th place.